Grange Woodford is delighted to offer on the market this stunning new addition to the Jaguar Family the I-PACE finished in Caesium Blue with Ebony/Light Oytser Leather Interior. Specifications and Equipment includes 10 Way Power Front Seats, 20 Inch Style 6007 Grey Finished Diamond Turned Finish Alloy Wheels, Adaptive Cruise Control, Carpet Mats, Clod Climate Package, Configurable Ambient Interior Lighting, DAB Radio, EV Charging Cable (mode 3), Fixed Panoramic Roof, Grained Leather Seats, Light Oyster Morzine Headlining, Powered Tailgate/Bootlid, Premium LED Headlights with Signature, Privacy Glass, Rear View Camera, In Control Apps, My EV App, Meridian Sound System, Heated Steering Wheel and many more features. Call us now to arrange your Test Drive. 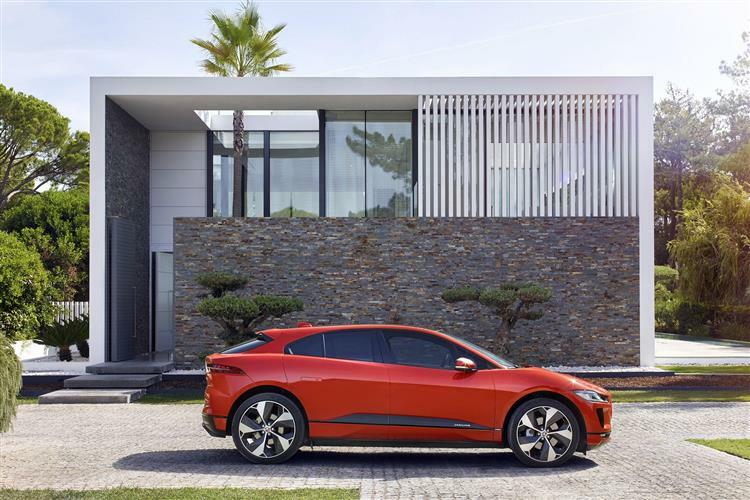 NEW ALL-ELECTRIC JAGUAR I-PACE,Jaguar's first all-electric car.Linear acceleration is instantaneous with no lag and no gearshift interruptions.Its 400PS of peak power takes you from 0-60mph in only 4.5 seconds.For sports car agility, the 90kWh battery is positioned within the floor, between the axles, giving a low centre of gravity and near perfect weight distribution.InControltechnologies seamlessly connect you to your car and the outside world.Available now to order for early delivery. Call one of the Sales team to discuss this fantastic new model. Range starts from £63,495. Model shown is the First Edition model from £81,495 on the Road. This car is in stock at Jaguar Brentwood. 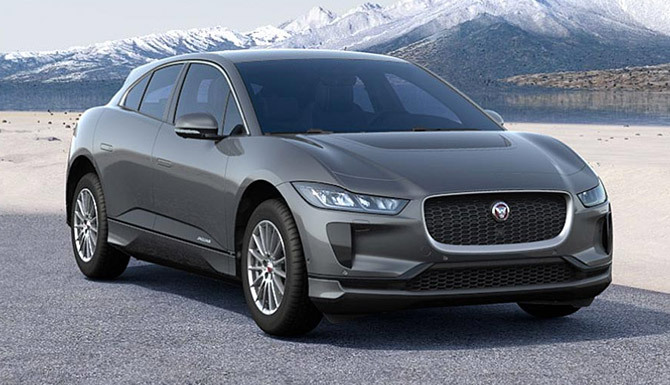 Our I-Pace comes with a great selection of equipment and features which include 22inch grey finish alloy wheels with Carbon inserts, Heated seats, Suedecloth headlining, Keyless entry and start, Parking aid 360 degree, Leather steering wheel, EV charging cable and also coming with a front entertainment system with a inbuilt Navigation system, DAB radio and Bluetooth audio streaming as well as phone connectivity. 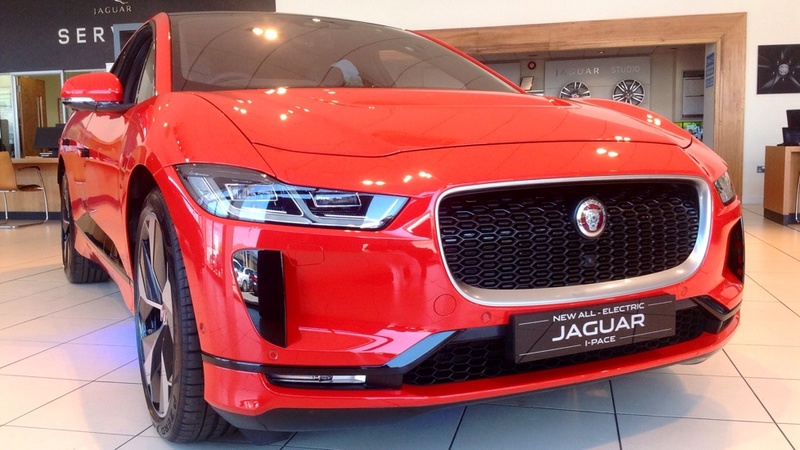 Our first edition Jaguar I Pace comes with a great selection of equipment and features which includes 22inch grey alloys with carbon fibre inserts, Parking aid with a 360 degree camera system, Heated and cooled front seats, Heated steering wheel, Navigation system, DAB radio and Bluetooth audio streaming as well as phone connectivity. This is our latest demonstrator so mileage subject to change. 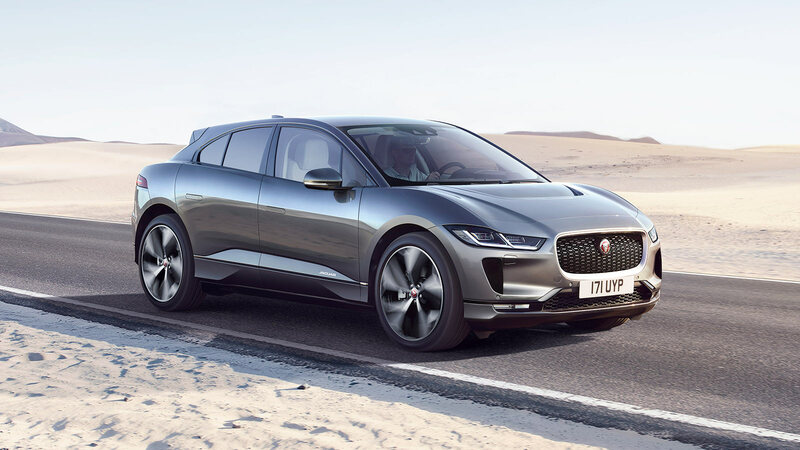 Our I Pace comes with a great selection of equipment and features which includes Heated seats, Suedecloth headlining, Keyless entry and start, Parking aid 360 degree, Leather steering wheel, EV charging cable and also coming with a front entertainment system with a inbuilt Navigation system, DAB radio and Bluetooth audio streaming as well as phone connectivity. Finished in Corris Grey Metallic with Light Oyster Soft Grain Hide Interior, 22 inch Alloys Style 5069, Technical Grey finish, Carbon Fibre inserts,Light Oyster suedecloth headlining,Public Charging cableWindsor leather sport seats, Limited Edition Model.